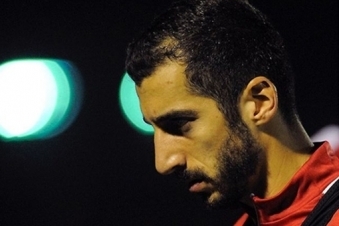 PanARMENIAN.Net - Arsenal look set to be without Armenian midfielder Henrikh Mkhitaryan for Thursday, March 14’s must-win Europa League clash against Rennes. The Armenian missed the Gunners’ 2-0 win against former club Manchester United on Sunday after sustaining a back injury in training. The midfielder has found good form in recent weeks and was one of the few members of the Arsenal squad who has won the Europa League. Arsenal trail 3-1 going into the second leg at the Emirates and need at least a two-goal victory to go through to the quarter-finals.